This Vauxhall Vivaro CDTI S/S 2900 Combi LWB WITH 6 speed manual gearbox has been converted by McElmeel Mobility Services with a tail lift to make it wheelchair accessible. Seating driver, double front passenger seat, middle row quick release passenger seat alongside the wheelchair user and a further quick release passenger seat in the rear. 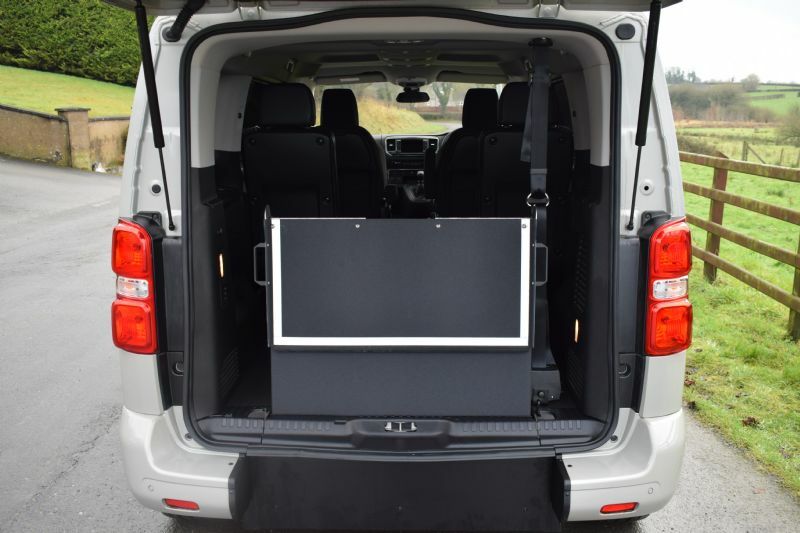 This vehicle has a smart floor and can carry two wheelchairs, with the option of adding additional quick release seats. Available for £18,750.00. VAT may apply. Coming with CD Player, Bluetooth Connectivity, USB Connectivity, Steering Wheel With Media Controls, Electric Front Windows, Internal Lighting, ECO, Twin Side Loading Doors And Central Locking.